B&B Queen City Tree Service offers a variety of solutions to keep your yard looking great and remaining safe year round. 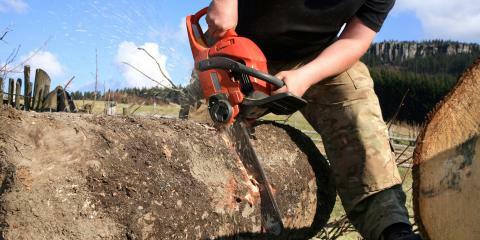 From stump grinding and removal to tree felling and general pruning, there’s no commercial or residential tree-related project this landscape contractor can’t handle. They also offer firewood sales and landscape trimming. When you need assistance immediately, they offer 24-hour emergency tree services, ensuring urgent situations are handled quickly and safely. Trust B&B Queen City Tree Service and rest easy knowing a beautiful, well-maintained lawn is soon to be yours. To speak with an expert tree service specialist and to schedule your free estimate, call (513) 542-7044.